You could rightly argue that life as we know it depends on a series of big decisions that go on to shape everything else in between. Few decisions, then, are as important as buying a home – it’s where you live, after all, and probably will do so for a long time. The pursuit of property is convoluted, long-winded and often frustrating all around the world, let alone in Egypt. But one new online platform has put forward a radical idea: the brains behind www.cooingestate.com dare to suggest that finding the perfect property can actually be quite a simple affair – gasp! How does Cooing make it easy exactly, we hear you bellow? Cooing streamlines the process for prospective buyers by addressing the biggest issue in the market: lack of information. 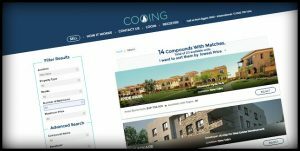 Cooing does so by acting as a one-stop-shop through its website by providing all the necessary information you need, all under one roof. 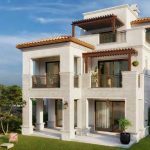 By letting you run a detailed search for your exact requirements in your home-to-be, you can quickly and easily browse properties, make informed decisions and seal the deal, so to speak, with reliable and efficient transactions through Cooing’s brokerage arm, as well as receive consultation from Cooing’s agents and consultants at no extra cost. Focusing on Cairo’s growing fleets of residential compounds, you can customize your quest by location, number of rooms and budget, but if you know exactly what you want, Cooing opens up the search to everything from property-type, to specific features such as swimming pools and other facilities. 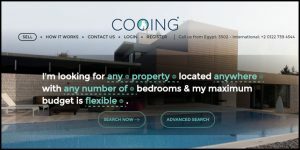 And so while Egyptians of a certain age have almost come to expect and subsequently accept the often needless complications of buying property in Cairo, Cooing is putting its foot down so you can put your feet up. Hopefully at your swanky new digs. For more information on cooing, click here.